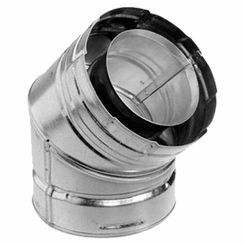 Save on the best HVAC fittings for your projects here at PlumbersStock. We have all kinds of fittings used in heating and cooling applications, and that includes duct fittings. 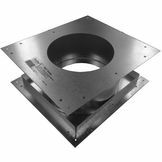 We have everything you need to get your duct and vent installations optimized. HVAC systems, commonly known as Duct Systems (ductwork) remove and deliver air. 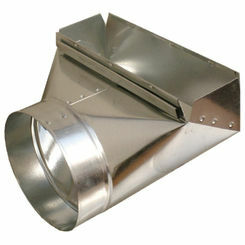 HVAC ductwork provides needed airflow in your home, office or building. These systems for example could include return air, exhaust air or supply air. It is essential that these systems are working properly in order to provide thermal/cool comfort as well as indoor air quality. If you are putting in a brand new HVAC ductwork system, it is important to plan and make up a design. This can save you both time and money as you work on your project. 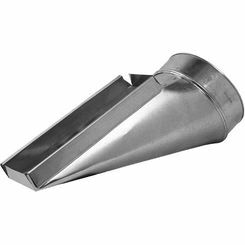 Generally, most of your ductwork will be made of galvanized mild steel. This mild steel allows for a little bit of flexibility, but not too much as to damage the flow of air. 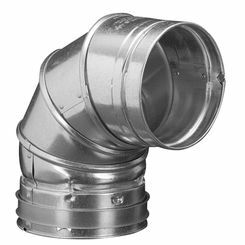 Here at PlumbersStock, we also provide a variety of flexible pipe or ducts. Typically, they are made of flexible plastic over a metal wire coil in order to make them round. They also can be made of aluminum. 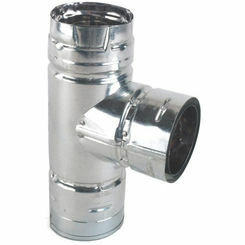 Another form of HVAC ductwork is stove pipe. 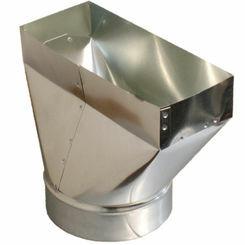 It is made of galvanized steel, as is the general ductwork for the airflow systems. 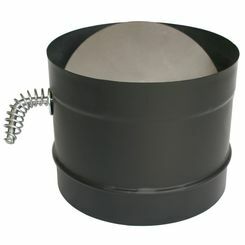 It differs however in strength with the stove pipe being stronger as it is used with both wood and coal burning stoves. Often times these HVAC fittings are painted black as well. These pipes are used to lead from the stove to the chimney. 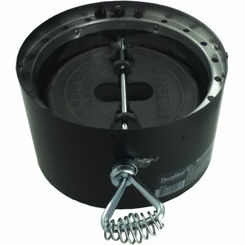 PlumbersStock carries a variety of stove pipe made by M&G Duravent which uses a 24 gauge steel. 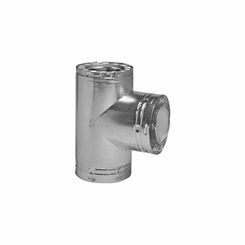 Reducers and Increasers allow you to change from one size pipe to another. For example, you may have 6 in. diameter pipe and you need to reduce to a 4 in. The reducer fitting allows you to do such, and vice versa with the Increaser. 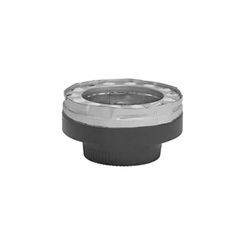 The End Cap or Round Cap allows you to cap off the end of a pipe. 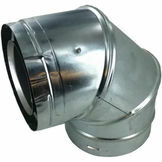 Elbow fittings allow you to change the direction of the HVAC ductwork, generally at a 90-degree angle. 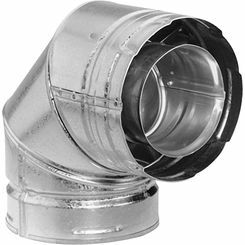 Almost all elbow fittings in ductwork are adjustable by way of moving parts in order for you to get the exact angle you need. 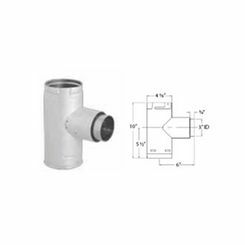 Vent Pipe is sections of pipe in different lengths usually ranging from 12" to 60" in length. 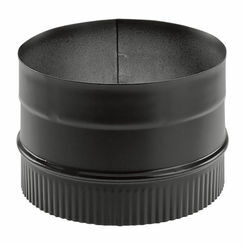 They also come in various diameters starting at 3". 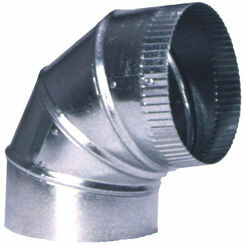 Flex Pipe can also be considered with the regular vent pipe. 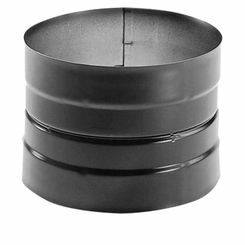 Other than being flexible, it is offered in many sizes like the general vent pipe. 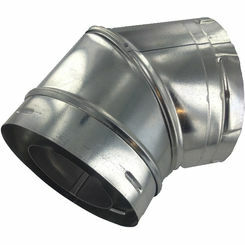 The Flex Connector Union allows you to connect multiple pieces of flex piping together. 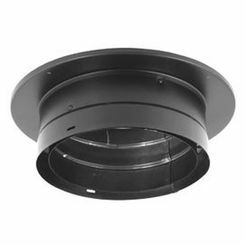 Register Boot Boxes are the fitting that connects the HVAC ductwork to floor, wall or ceiling diffusers (vents) in a room. 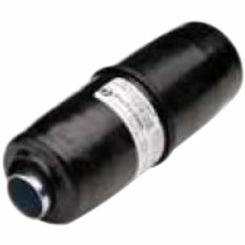 In addition to Duravent, we carry Honeywell, Deflect-o, Oatey, and more. It is important to know what you need to complete the job and here at PlumbersStock, we are committed to helping you find the right product. Drawing up a plan for your system can help you to know exactly what HVAC fitting you need. Another great tip is to know the building codes where you live in order to avoid hazards or hang-ups in your project. NOTE: There is a misconception with HVAC ductwork projects. 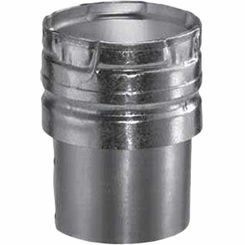 The joints between fittings and pipes where they join need to be sealed in order for proper use and cost-effectiveness. Duct tape IS NOT THE ANSWER here. 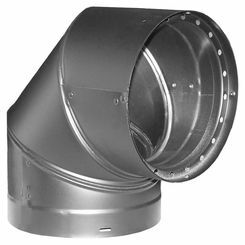 Even though it carries duct in its name, it is not usable for long lasting durability. The adhesive used in duct tape dries and cracks over time. Using an Aluminum Tape is your best bet and is specifically made for these jobs. Also, make sure to get an aluminum tape that is fire rated. We are here to help you find what you need. Our wholesale prices and professional staff cannot be beaten. If you have any questions about finding what you need, please contact us, and we can help you out with your project. 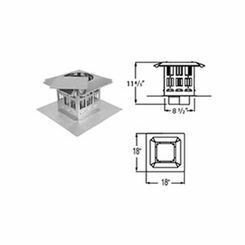 PlumbersStock.com is dedicated to helping both the contractor and the Do-it-yourselfer with all their HVAC duct fitting needs.